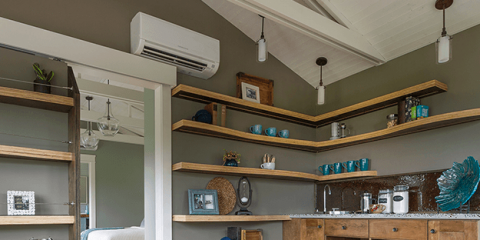 It Saves You Money: A ductless HVAC is a smart solution for homeowners who want to save money. Unlike traditional home AC units, ductless heating and cooling are extremely efficient, saving you money on every energy bill. 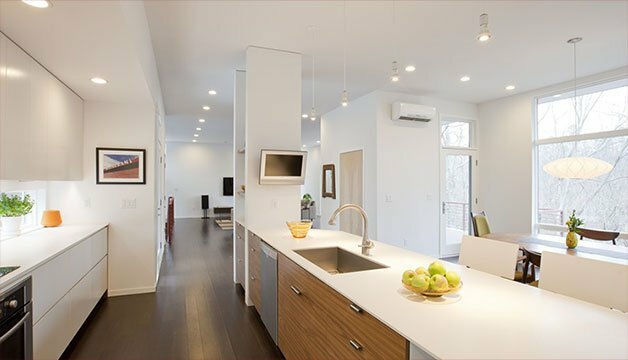 Some ductless HVAC systems are also eligible for tax credits. Speak with the HVAC installation specialists at Montgomery Heating & Aire to learn more. It’s Easy To Install: A traditional AC service can take a long time to install in a home. Montgomery Heating & Aire will provide ductless HVAC installation in much less time, often having the central heating and cooling up and running in a day. It Improves Air Quality: People tend to think of pollution as being an outdoor problem, but indoor air pollution is often a greater threat. Fortunately, ductless HVAC systems from Montgomery Heating & Aire actually improve indoor air quality through the use of multistage filtration. They’re a better option than traditional AC, which can introduce dust and allergens into your home. There are many reasons why Montgomery Heating & Aire has been helping homeowners make the switch from traditional AC to ductless HVAC. To learn more about ductless HVAC installation, call (870) 435-1501, or visit the website.